Ragworm is delighted to introduce the first in our series of Student offers. Tuition fees, rent, new textbooks … the list of back to school costs seems to be endless! Here at HQ, we would like to share a little bit of love with you by offering 10% off of all your PCB projects for your first term. Running from 20th September until 30th November you have plenty of time to take full advantage of this offer! How do you get access to this? 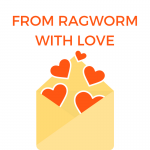 Simply send an email across to any of the Ragworm team with a picture of your Student Card attached and we will send you back a unique code to unlock your discount.